Beginners to SEO face a lot of challenges. There are so many things to do and learn at the beginning which makes it impossible to differentiate between the tasks that are important and should be done first and the least important tasks that can be implemented later. It is true that there is a plethora of information about ‘WordPress SEO’ on the web. The problem is that if you are new to WordPress and SEO in general, you don’t know from where to start and which path to follow. You know that you want to increase your traffic as fast as possible but you are not sure how the different SEO principles and best practices can be applied to a WordPress website. What you will learn in this post is how to approach the SEO optimization of a WordPress website (either new or existing) by following SEO best practices that are proven to work. I decided to add this as the number one in the list since if you are not using an SEO friendly theme, it will be difficult if not impossible to improve your rankings. From experience, a lot of people either don’t know what to look for in a WordPress theme so that it’s search engine friendly or they just ignore this altogether and this is a big mistake. How do you select an SEO friendly theme? It’s mobile friendly – Having a mobile friendly website is a must and if your WordPress theme is not responsive then this is a very good opportunity to consider doing a website redesign. There are many reasons why this matters. For starters, Google introduced mobile friendliness as a ranking signal in 2013 and this means that if your website is not optimized for mobile, then you are missing out on the 50% of potential traffic that is navigating the web on mobile. Second, you are not taking advantage of the many benefits a responsive design has to offer to online business and this can have a negative impact on your conversion rates and sales. It has build-in support for schemas – Schemas or structured data representation is gaining importance the last couple of years and although this is not yet part of the Google ranking algorithm, it is something that can help your SEO efforts. In short, schemas or microdata is a way to describe your data to search engines by using certain tags in your html code. Google is using this information when showing rich snippets or knowledge graph entries in their search results. If your theme does not have schema information built-in, then you will either need to hire a developer to do these changes for you or make use of a third party plugin. You can still get it to work but it’s much better if structured data is natively supported by the theme. It’s developer friendly – A WordPress website is never static. There will be cases in the lifetime of a website where you will have to make changes to the underlying code. Good WordPress themes have hooks and filters that help developers perform changes fast and in an efficient manner. Usually this is achieved through the use of a framework (read more details below), which is the intermediate layer between WordPress core files and theme. It loads fast – Everybody likes a fast loading website. Google rewards fast websites by giving them a small ranking boost and users are more likely to interact and revisit a website that loads without delays. While there are many techniques to improve the loading speed of a WordPress website, if your theme is not designed with speed in mind, it will be very difficult to achieve loading speeds in the range of 2-4 seconds. Elements like image sliders, background videos, extreme mouseover effects, custom animations or visual editing plugins make a website look stunning but also very slow. If you had to choose between a functional and fast website and a ‘wow’ website that only works on high speed Wi-Fi connections, then you definitely need to go with the first option. The use of a single H1 tag per page. The proper output of ALT tags for images. The proper output of page titles and descriptions. The correct use of canonical URLS and many more. Pro Tip: Have a look at my previous post on how to SEO audit your website and make sure that your chosen theme adheres to those guidelines. Over the years I had the opportunity to work with a number of different WordPress themes and frameworks but when it comes to my own websites or websites we develop for our clients, we always go with studio press themes that are based on the powerful Genesis framework. The main reason is that the Genesis framework and themes are generally accepted by the SEO industry as the best SEO themes available today. The website you are reading now is based on the genesis framework and also a number of the most popular websites on the Internet run by SEO experts are based on Genesis. It’s not free, you may have to pay as much as $100 to get the genesis framework and a child theme to get started but it’s one of the best investments you can do for your SEO efforts. Besides the SEO benefits, these themes are easy to use (from an administrative perspective) and developer friendly. Next in the list is SEO friendly hosting. Many times hosting providers can indirectly affect your SEO efforts, without realizing it. I have seen cases where the hosting providers add restrictions in the robots.txt of a website to block bots from accessing a website’s full content or by limiting the times a website is crawled or by adding delays to the crawl rate and this has a negative impact on your SEO. There are a number of good hosting providers out there so I won’t make a specific recommendation besides mentioning that WordPress runs better on a VPS (Virtual Private Server) hosting compared to shared hosting. If you are serious about your blog or online business, then VPS hosting is your only choice. Your website will run faster, be more secure and if you choose a reliable hosting provider you will also have prompt support when you need it. How is WordPress security related to SEO? Websites that don’t have strong protection get hacked and they are loaded with malicious code which adds outgoing links to ‘bad reputation’ websites. In many cases the owner of the website doesn’t have a clue that this is happening, hackers use clever ways to hack into a website and add the code that is visible under certain conditions. The result? Your rankings drop and your website is removed from Google search until you take action to clean the malware and submit a reconsideration request. If you experienced this once, you know how frustrating it is especially if your income depends on your website. When it comes to security, ‘prevention is always better than cure’. I have previously written a guide on how to protect your WordPress website and if this is something you haven’t considered yet, I suggest you take a break from SEO and deal with this first. 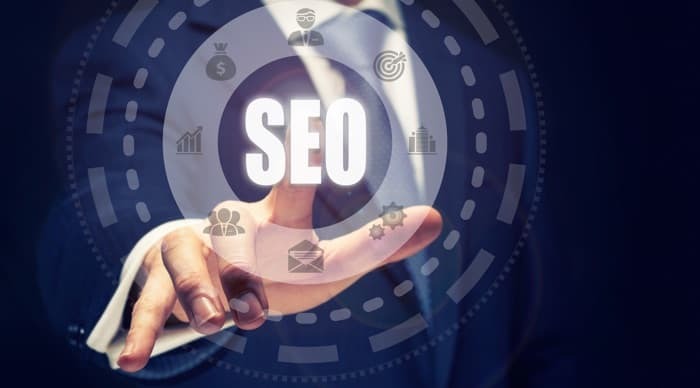 Now that we have dealt with the above important tasks that indirectly affect your SEO, we can start working on things that have a direct impact on rankings and traffic. First in the list is technical SEO. Technical SEO is a term used to describe settings you need to configure to improve the indexing of your website and ensure that there is nothing technical the prevents search engine bots from accessing your content. Can search engines access your website or is your robots.txt blocking them? Is your XML Sitemap optimized and submitted to Google and Bing? Did you set a preferred domain in WordPress and Google Search Console? Do you provide users with an HTML sitemap? Do you have a custom 404 page that is properly configured? Do you use redirects (301, 302) correctly? Is your website configured to handle both http:// and http://www requests? Do you take advantage of structured data and schemas? Are there any broken links in your content? Are there any crawl or not found errors reported in Google search console? Did you set the canonical URLs correctly for all the pages of your website? Do you have a breadcrumb menu enabled and it is properly tagged? Do you implement ‘paging’ correctly for multi page posts or pages? If your website is available in more than one languages, is this defined correctly in your code and Google Search Console? Despite using the word ‘technical’, you don’t have to be a technical guru to handle these issues. If this sounds too complicated for you, you can read step-by-step instructions with screenshots and annotations in my SEO Course. Once you finish with the technical SEO stuff, you can now concentrate on your On-page SEO. On Page SEO, as the name implies, has to do with the page (or post) and how you can optimize it better. SEO Friendly Titles – This is perhaps the most discussed element in SEO. The title of a page is very important since this is the first strong signal you can send to users and search engines and describe them in less than 60 characters, what the page is about. One of the examples I like to use to explain how to come up with a good page title, is the one used by Google AdSense. Take a look at the screenshot below and notice how keywords blend nicely in the title followed by the product name. It’s not keyword stuffing to try and use keywords in your title, on the contrary you make search engines (and users) job easier. Meta Description Optimization – The same concepts apply to the meta description of the page. This part may be selected by Google to appear in the search results so it has to be descriptive and interesting to encourage users to click and visit your website. This is the description used by Google AdSense (see screenshot above). Again, notice how they use the keywords “make money online”, “content monetization”, “make money”, in a way that is looks natural and appealing. H1 tag Optimization – Another on-page SEO element is the H1 tag. As mentioned above, this depends on how your theme is configured. What you should do is ensure that there is only one <h1> tag on the page. The value of your H1 can be the same as you page title (this is usually the case with most WordPress themes), or it can be a close variation. In the AdSense example, the H1 tag value is “AdSense, turn your passion into profit”. Internal links – Links pointing to to other pages within your website are considered as internal links. You can use them to help users find out more information about a certain topic and at the same time you assist search engine crawlers in discovering more pages from your website. When adding internal links, you can use keywords in your anchor text, it’s not the same as external links but don’t overdo it. Keep your internal links short and add them only when it matters. Outgoing links – It’s normal to have links within your content pointing to external websites. Google interprets these links as ‘votes of trust’ and are still one of the factors affecting the ranking position of a page. The problem about links in general is that they can be manipulated. A lot of webmasters in an attempt to improve their rankings, they may contact other webmasters asking them for links either for free, for a fee or by giving them others incentives (for example, sending free products for reviews). How is this related to on-page SEO? If Google believes that the outgoing links in your page are part of a deal, your website will be penalized and your rankings and Google trust will drop. 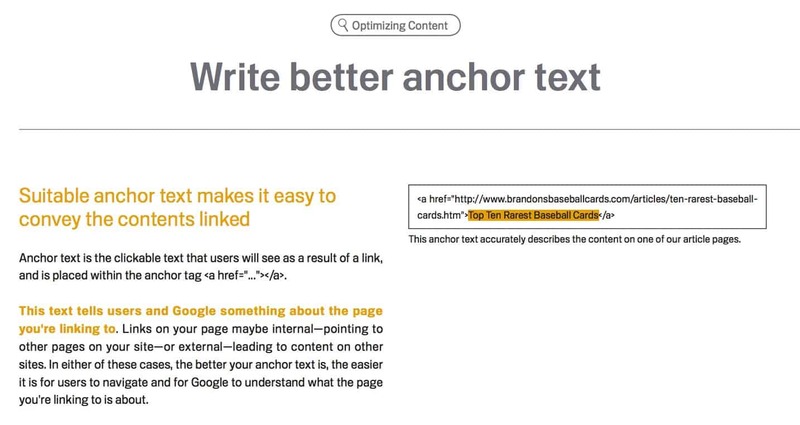 In order to avoid such a situation, you should only link out when it benefits your user and you should avoid using keyword optimized anchor texts, unless it is natural to do. Use the rel=”nofollow” tag in cases where you want to reference / recommend / review other products within your content. Although content is part of the on-page SEO process, I added it as a separate section so that it gains more importance. Things have changed. Content SEO is no longer about keywords but it’s also about understanding the user intent. Any piece of content that does not take into account what the searcher is looking for when typing a particular keyword in Google, then it has no chances of gaining high rankings. Google is able to understand user intent with the help of Rank Brain (their new automated system that is part of the ranking algorithm) and that’s how they managed to keep their users happy and their reputation high. As webmasters and SEO’s, we can utilize this knowledge to help us create better content. How? By searching for a keyword in Google and carefully examining the type of content (both in terms of format and meaning) of the websites that appear in the first 5 positions. Perform keyword research to find out what users are searching in Google related to your niche. For each of the candidate keywords examine carefully the results in Google search and understand the user intent. Create content that is detailed, insightful, SEO friendly but at the same time satisfying the user intent. How is content related to WordPress SEO? Even if you get the technical and on-page SEO part correct, you still cannot achieve high rankings without great content. That’s why it’s important not to forget about the role of content when talking about rankings and SEO either using WordPress or any other platform. Off page SEO is the last piece of the puzzle for optimizing your WordPress website. So far all actions performed had to do with changes or settings you can adjust within your website. Off page SEO is about giving search engines more reasons to trust your website more than others. Link building: The most popular off-page SEO technique by far is SEO backlinks. It’s a huge topic on it’s own and something that many beginners find difficult to understand and implement. 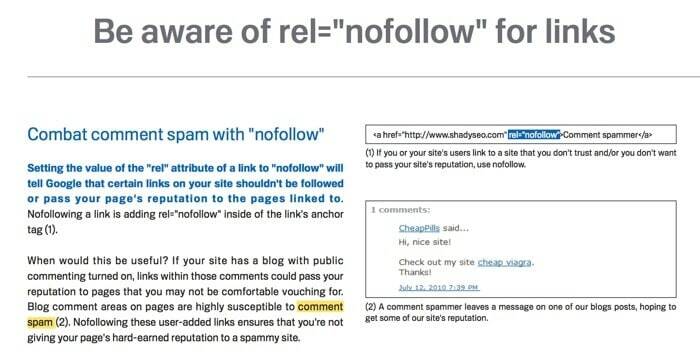 Bad links (like those described above), are not harmless, they can actually damage your rankings and put your website into trouble (think Google Penalties). Natural links are good and welcomed. Build connections with other bloggers in your industry and keep them updated whenever you have new content published. If the content is good and related to their business they may decide to naturally link to it. Write superb content and get it published on reputable websites bigger than yours (guest posting). If you are a beginner to WordPress SEO, you need to understand that there are more than one factors that play a role in rankings. First you need to start with your website and check your WordPress theme, hosting and security. Then you need to thoroughly check your technical SEO and ensure that search engine bots can access and understand your website’s content and structure. Next, you need to worry about your on-page SEO. This is the part where you can send many ‘signals’ to search engines about the meaning of your content and purpose of your page. Finally, don’t for a moment forget that long term success comes through the quality of your content and how other websites on the Internet think of your website (that’s off-page SEO). Good article, Alex. I would liked to have seen the advantages and disadvantages of Yoast Vs AII-in-One SEO. The wrong configuration of those tools also plays a part. Thanks for commenting. You are correct, it does play a role. Maybe this is something to cover in a new post. Thanks for your comment. All the best with your SEO efforts. This is really comprehensive and good enough to help someone who is just launching his/her website. I once used bad hosting with an extremely heavy theme and it almost kill my site. Now, I make sure the two fundamental of SEO are met while building a new website. Which in this case are hosting and theme.